School breaks are a great time for all sorts of fun activities, spontaneous adventures, and down time for students to pursue and enjoy their favorite things. But it can also be a time when students may be smart to pay attention to building up key skills – especially the ones that they will use all their lives. Writing is one such skill, which can be practiced and sharpened with just a little effort and with no special costs (unless you choose to get expert help). Here are three easy-to-remember – and accept! – reasons why we think you should spend a little time step up your writing over the break. Think you wrote a lot during the last school year? Buckle up, you’re going to write a lot more during your remaining years as a student – all through high school and through college. Each year you’ll notice that you read more and write more, and the quality of the essays expected will require you to step up your writing skills. For most of us, writing is something we have to do all our lives. Solid writing is one of the most important skills to have in a wide variety of professions. Even STEM-heavy jobs and internships will inevitably require you to convey your ideas in a way that’s both quick and easy for others to understand – tech companies need skilled writers too! The more you practice your writing, the more natural it becomes for you to transfer your thoughts from your brain to the paper, and fewer things get lost in translation. Honing your communication abilities will go far in helping you with your extracurriculars. Also, in your senior year of high school you’ll have to submit the all-important college application essay. Though this is something you can get some help with, it goes so much easier if you’re comfortable writing, and it is never too early (or too late) to start building that skill. 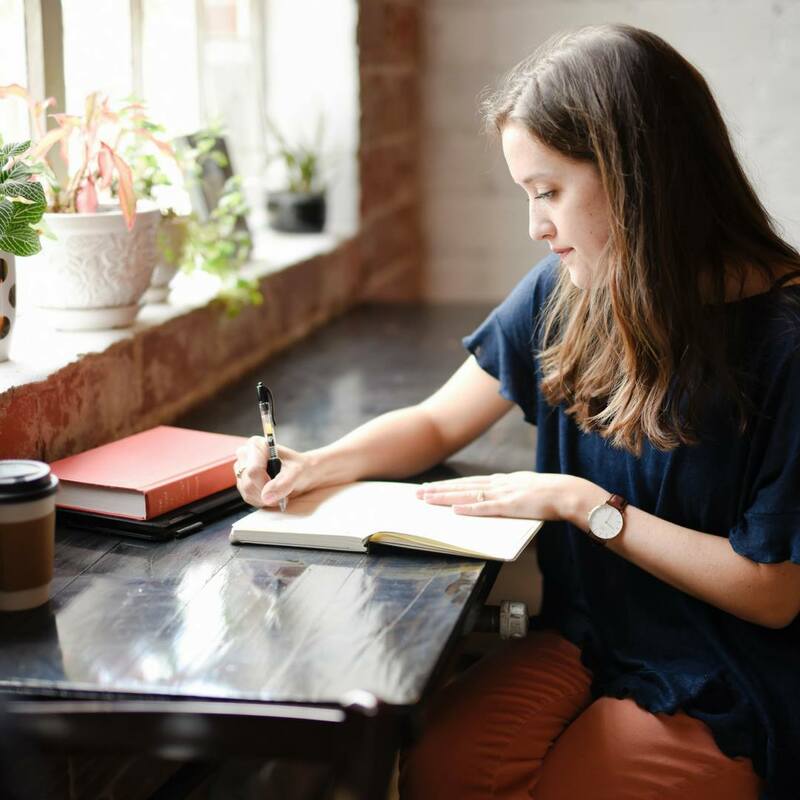 Aside from getting your prepared for future needs, writing can serve as a wonderful form of stress relief as well as a type of creative outlet. Use your writing time to create your own world of wizards, aliens, dogs, or whatever you want! If you’re stuck, check out this website, which randomly generates a first line for you to write your own story about. It can actually be fun to write about whatever you’re interested in, especially as it is not a must-do assignment. Also, try using your writing time to journal your thoughts about yourself or events in your life. Writing regularly like this can help you convey your thoughts quickly and efficiently. This kind of introspective writing is also great for managing stress, working through problems, or even just remembering fun things you’ve done. It’s an activity that you could do anytime, anywhere – all you need is a writing device, analog or digital – whether you want to fire up your creativity or calm yourself down. And just like that, you could be building yourself an awesome lifelong hobby! Writing is healthy activity which benefits your brain, and who wouldn’t want that? Wait, there’s more, it gives you power! As the saying goes, the pen is mightier than the sword (or is it the keyboard being mightier than the drone?). Practicing your writing can be an exercise in self-empowerment as writing can help in getting what you want. Persuasion isn’t just for academic essays; a little bit of solid persuasive writing can effect the change you want. Compelling communication is a way to get people to agree with you. Whether it is for a larger community-oriented cause like getting your neighborhood community center to improve their teen room, or an email to your teacher to give you extra credit for a project, a strong piece of writing can make all the difference. Learn how to write persuasively, and you could be convincing your boss to give you a bigger raise and writing articles and blogs inspiring thousands to change themselves and the world – though you’ll probably be starting with your college, scholarship and job applications, convincing schools and companies why they should choose you! It doesn’t take a lot to step up your writing – a journal and a pen, or your trusty laptop or tablet. Whatever works for you. And if you want more specific writing support, Meemli can help, just let us know what you need. Happy writing!